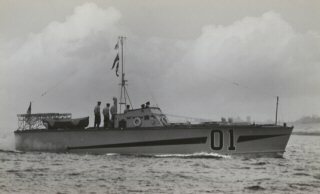 In 1933 Hubert Scott-Paine built and raced Miss Britain III which used a Napier Lion engine, in the United States and Venice setting world records for a single engined boat. A 1/24 scale model of MTB 07 (built by the author) takes to the water in 2009 in memory of Ron Ashby & the crew. MTB 07 on patrol in Hong Kong. This model is now on display at the Museum of Coastal Defence in Hong Kong. Commander: Lt Laurence .D. Kilbee H.K.R.N.V.R. Was one of the 12 original HKRNVR's along with Ashby. Lt Kilbee was ordered off to look after his 08 crew on the day of the escape. Lt Laurence.D.Kilbee H.K.R.N.V.R. Commander of MTB 08 during the battle of Hong Kong drew this whilst in hospital in Argyle Street P.O.W. camp, Kowloon in Hong Kong 1942. 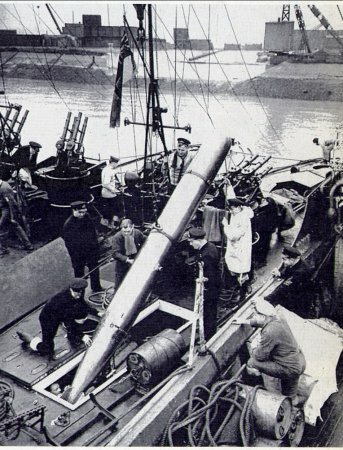 MTB 08 was hit by a bomb while on the slip at Aberdeen on the 16th December 1941. Note the removable ports astern with the fold over racks above for torpedo launch. Commander: Lt Alexander Kennedy R.N.V.R. Called up in August 1939 as a Sub Lt R.N.V.R. 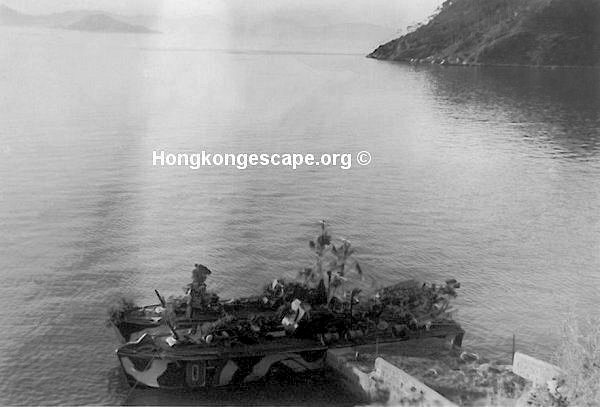 Lt Kennedy kept a diary, and in 1946 wrote it up as Hong Kong Full Circle 1939-1945" which was self published in 1969 with five hundred copies. Telegraphist Alf Hunt [G3CHU](Chairman/Secretary Far East POW association [Birmingham] was one of two known survivors along with A/B Bartlett. 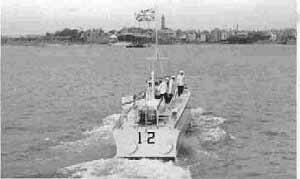 MTB 12 during sea trials at HMS Vernon. The Flotilla was over-painted with a mixture of dark camouflage colours on the 14th December 1941 in preparation for air attacks. Here MTB 07 is alongside a stone jetty at Telegraph Bay on Christmas Day with MTB 09 lashed alongside. The boats were covered with straw and branches for camouflage from air attack during daylight hours. 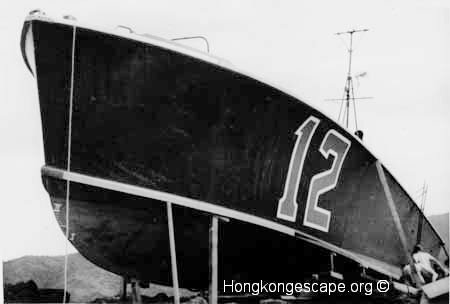 Later in the day when Governor Sir Marc Young finally surrendered to the Japanese the boats rendezvoused south of Ap Le Chau Island and made good their escape with the Chinese liaison party headed by Adm Chan Chak. All boats including the Royal Barge were Scott-Pain. near Ipswich in Suffolk in 1933. 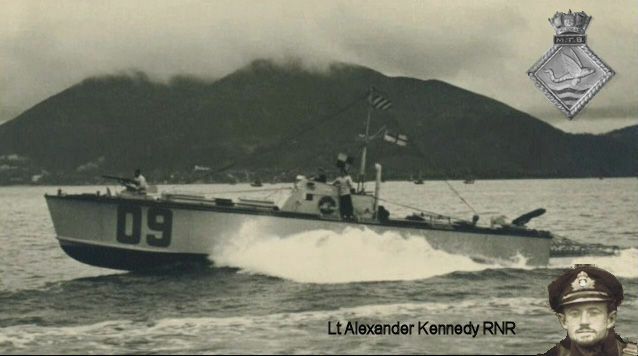 The first two post WW1 Coastal Motor boats were ordered on 27th September 1935. By October another four Scott-Paine boats were ordered. 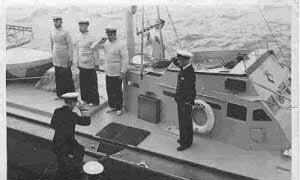 The six boats were commissioned on 27th April 1937. 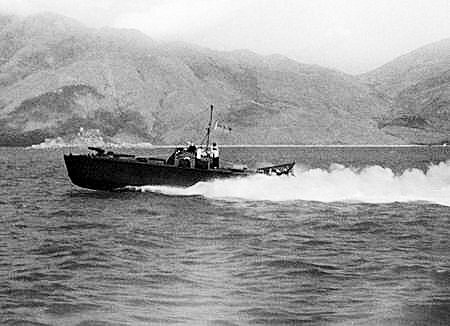 The 1st Motor Torpedo Boat Flotilla was born. The first public appearance was escorting King George VI and Queen Elizabeth I with Princess Elizabeth down the River Thames from Westminster to Greenwich to open the new National Maritime Museum housed in the former Royal Hospital School buildings. 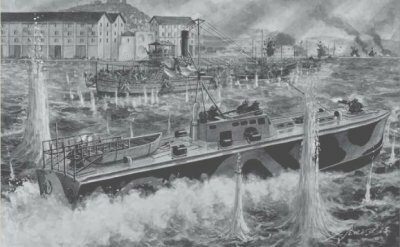 MTB 27 launching a torpedo. 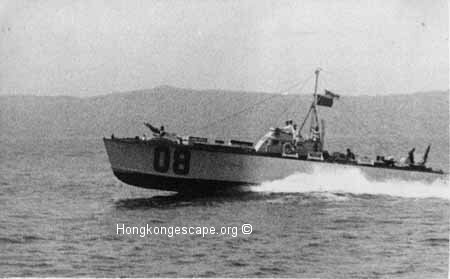 The two Thornycroft 55 foot ex CMBs could launcg torpedos while under way, whereas the Scott-Pain 60 footers had to be stationary as with the stern ports open under way the engine room would flood. One launched the engines were crash stated to clear the torpedo. The 60 foot Scott-Paine boats carried two 18 inch aircraft torpedo's stored in the engine room on overhead rails, with two hinged lattice girders stowed on deck. The hinged lattice girders swung over the stern to form a continuation of the engine room overhead rails. The torpedo's fired forward from astern of the boat, and it took great skill in aiming the boat at the target, firing, then turning sharply away to avoid the torpedo. 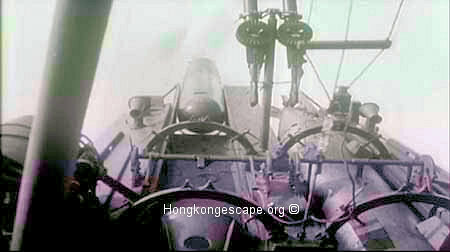 The boats were powered by three Power-Napier Sea Lion W12 petrol engines. The 1st MTB Flotilla shaped course for the Mediterranean on 22nd June 1937, calling in at Brest, Corunna, and Lisbon before arriving in Malta on 17th July 1937. 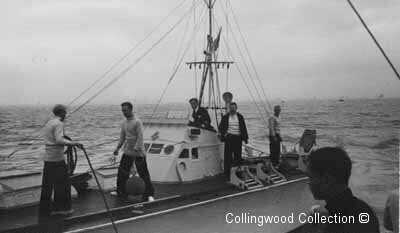 Later it was increased by the 3rd Flotilla which was bound for Singapore originally. 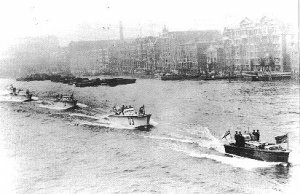 At midnight on the 11th November 1939 the 12 boats of the 1st MTB Flotilla shaped course to return to the UK via the French canals. 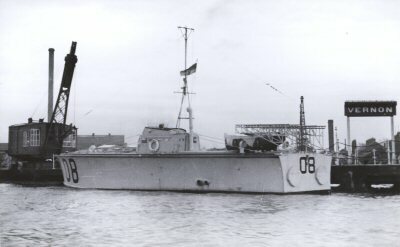 MTB 06 was scuttled by HMS Dainty en route to France and the remnants were later stationed at Felixstowe. MTB's 01-05 were disarmed and used for other duties. If you have any Knowledge of the above please contact the Webmaster Thank You.